I’m working on a blog article discussing “If You Can Measure It, You Can Manage It.” It started this spring when I was talking with a friend about how he lost his weight. He looked great. His comment – I only eat 1,500 calories a day. That’s it. I decided that this could work for me and since I’ve always loved tracking things I thought this seemed like something that could be easy to do. It turns out for me, it was and continues to be easy for me to do each day. I use a simple app called Sparkpeople to track how many calories I consume each day. My goal is 1,500 to 1,800. Usually, when I type in a food item to track it, it’s often on the list within the app. If it’s not, I use the barcode scanner to get the info or I enter it manually. After a few weeks, it became easy to do, and I’m still doing it after five months. I often enter the information while I’m watching the news or during some other slow times. One day in late June I was riding my bike here in Minnesota, we have an amazing bike trail system here, and I thought it would be cool to ride more often. With this in mind, I decided to set a goal of riding 1,000 miles by the end of the year. I knew it would be easy to track my progress using the app Map My Ride. Since then I’ve made it a priority to ride any chance I can. Tracking those two things have allowed me to have a great year biking and I’m now within three pounds of my goal weight of 165. Down from 195 two years ago. I lost 15 pounds in a year simply by quitting alcohol. I was surprised by how easy it was to give up alcohol when I made my health a priority, keep in mind that I really loved high carb and high-calorie craft beer before this. Now, I drink non-alcoholic beer from time to time but rarely crave it anymore. I’ve burned over 64,000 calories while biking this year. So the days I go over on my calorie goals are not a big deal. When I do the math, it works. For every 3,300 calories burned, a pound is shed. That’s about 20 pounds. I started biking at 180 pounds. To date, I’ve lost 12 pounds since July. The other 8 pounds worth of calories were used on the days when I went over 1,800 calories at holidays, parties and other events. I’ve not changed my diet much other than swapping out some things for healthier alternatives. For example, instead of ordering a Chai Latte I order a regular tea, that’s zero calories versus about 300. I eat smaller portions and am just as satisfied with the meal. It’s worked well for me. And when I go out to dinner with my wife we often share a meal. It has been a time commitment for sure; 120 hours of biking since July and 10-15 minutes a day to record what I eat. These two things have now become a lifestyle for me, and I look forward to hopping on my bike and taking a 15 to 25-mile ride. I also enjoy the challenge of keeping my calories within the range I specified. 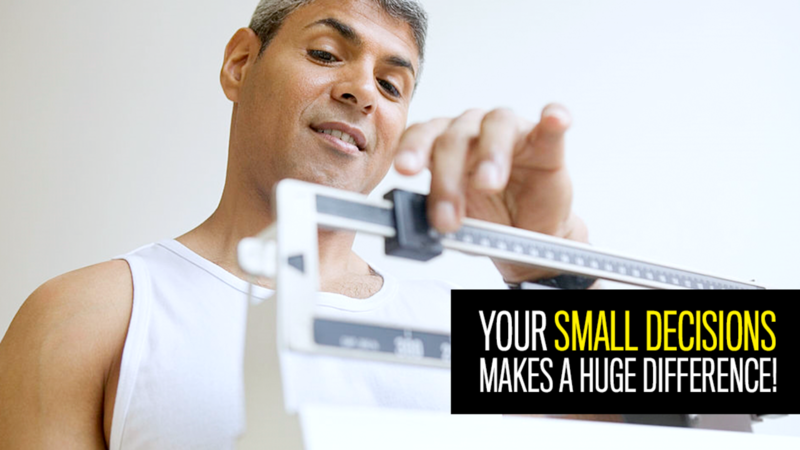 It’s the cumulative effect of lots of small decisions that have made a big difference. It took me 60 years to get to this point. I’m going to do everything I can to make sure the next 40 years are filled with a lot of activity and good health. I currently feel like I’m about 30 years old and have a ton of energy and a pep in my step that had been missing for a long time. I’m not planning on slowing down anytime soon! In my blog article, I’ll also talk about the importance of Measuring and Tracking the things we do in our business. It matters!